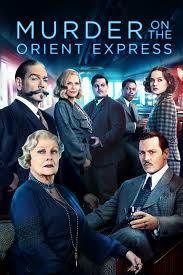 Join us at the 400 Coups for “Murder on the Orient Express” directed by Kenneth Branagh based on the 1934 novel by Agatha Christie. Presentation of the library and film by Nicole Genard and Phoebe Marshall-Raimbeau before the showing. For the full program of the “Semaine de Cinéma de langue anglaise” click here.